October’s Draconid meteor shower is approaching, and may be easier to view this year. That is all a result of the new moon occurring on October 9th, which will allow the night sky to be even darker. What could also help meteor-gazers, is that a second shower – the South Taurid meteor shower – may be also peaking during early October. 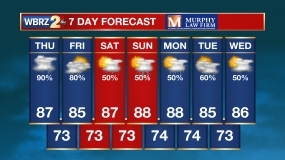 The best nights will be Sunday, October 7th through Tuesday, October 9th. The meteor shower will peak on October 8th, which will be the ideal night as it coincides with the arrival of the new moon. Another great characteristic of the Draconids, is that you don’t have to get up in the early morning hours, while they are actually better observed after sunset. The reasoning is because the radiant point will slowly approach the horizon as the evening progresses. The Draconid meteor shower is often known as a sleepier shower, rarely producing any more than 5 meteors per hour. 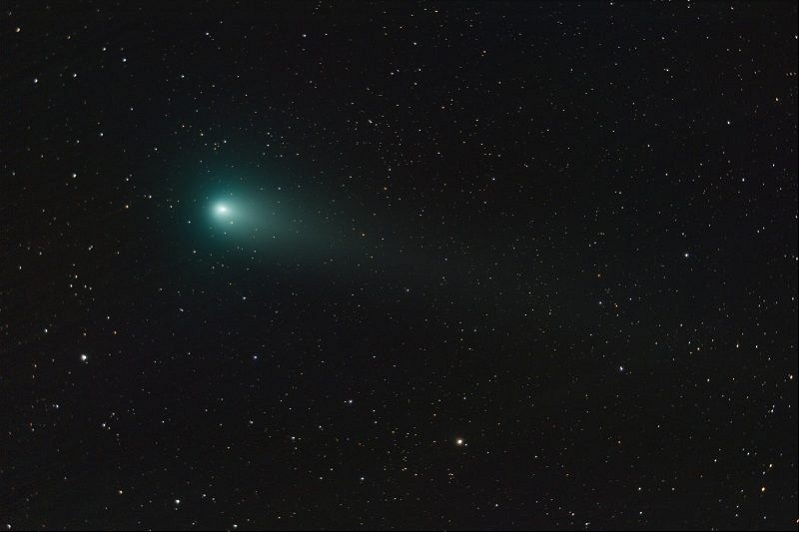 That is all dependent upon the location of their parent comet – Comet 21P/Giacobini-Zinner – which reached its perihelion, or closest point to the sun, on September 10th. 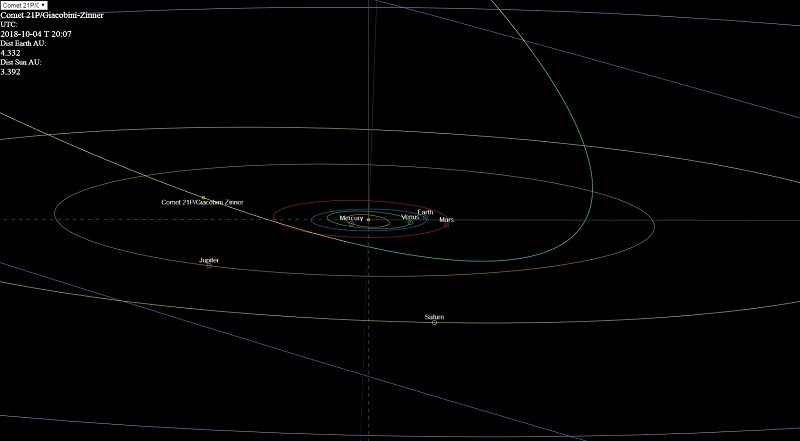 It is tough to gather if that is close enough, but the comet is travelling away from the sun and the inner planets. 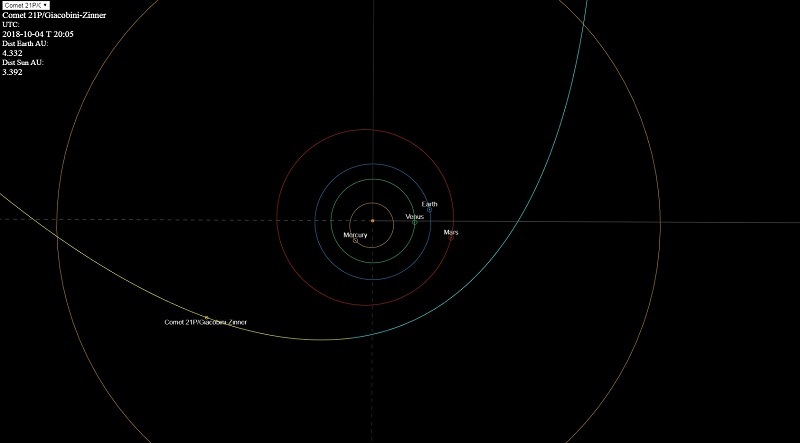 Figure: Current location of Comet 21P/Giacobini-Zinner in relation to Earth. Figure: Current Hight of Comet 21P/Giacobini-Zinner above the orbital plane of our solar system. 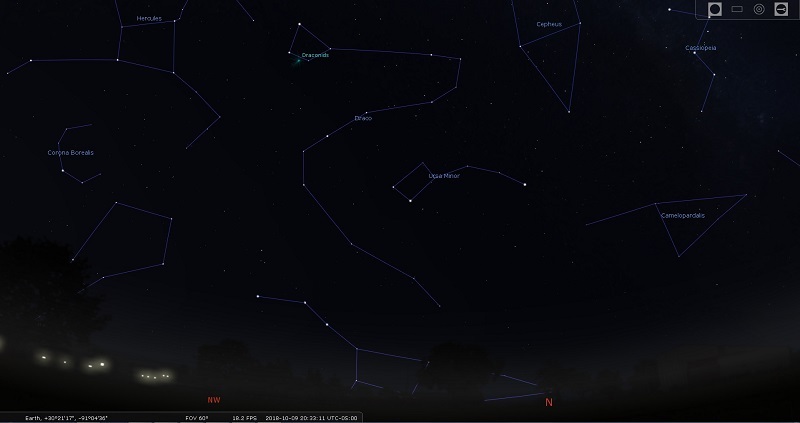 To view the Draconids, you will want to look toward the north-northwest toward the head of Draco the Dragon. The meteors will travel out from that area, near the stars Eltanin and Rastaban. They will streak across the sky, as the constellation pivots toward the horizon through the evening. Figure: The radiant indicated by the aqua dot near the head of Draco in the northwest sky. Most meteors that occur during annual showers take their names from the constellation from which they originate from. The Draconid meteor shower is named for Draco the Dragon, but are also sometimes called Giacobinids, named after Michel Giacobini. On December 20, 1900, Mr. Giacobini discovered the comet that is associated with the Draconids. This was one of the first instances in which the relationship between comets and annual meteor showers was made. Another sighting of this comet was made in 1913 by Ernst Zinner, which was also added to the comet’s name – 21P Giacobini-Zinner. This second sighting from Mr. Zinner, solidified the connection between meteor showers and their parent comet. Image: Comet 21P/Giacobini-Zinner captured on August 18, 2018 from Moscow, Russia. Image Credit: Alexander Vasenin via Wikimedia Commons. So make sure to look toward the north-northwest between October 7th and 9th before midnight, and make a wish on a Draconid meteor.